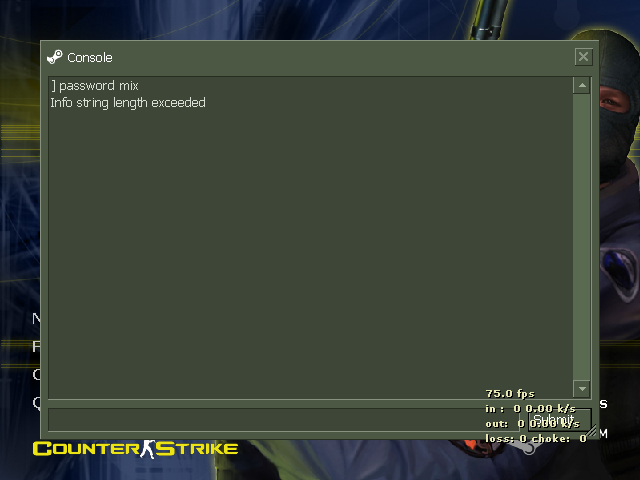 Info String length exceeded Password. This is common ERROR when we enter Password while connecting to a Server. Just copy the above line and paste it into your console and your problem will be solved. Open your "config.cfg" and Paste the same command in between. Just change your name to 2-3 letters and your problem is solved sounds funny but it works.